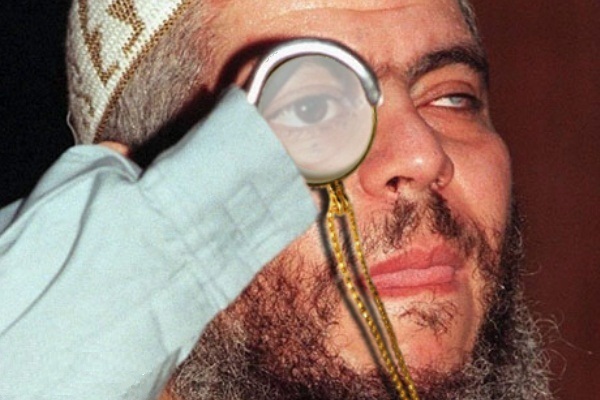 EUROPEAN COURT OF (IN)HUMAN RIGHTS RULING COULD SET HOOK-HANDED HAMZA LOOSE ON THE STREETS OF THE UK.. – The Tundra Tabloids……. EUROPEAN COURT OF (IN)HUMAN RIGHTS RULING COULD SET HOOK-HANDED HAMZA LOOSE ON THE STREETS OF THE UK.. This speaks of the tyrannical nature of the EU and its judicial institutions. Someone who should have ended up at the end of a very taut rope, is afforded every consideration imaginable, even to the point of possibly being let loose on the streets. This is an outrage, and speaks of the need for every state to reassert its sovereignty and reject international court systems. Hook-handed Hamza: I say dear fellows, good show, a very good show indeed! Previous Post Previous Post ITALIAN VIDEO OF MUSLIM PERSECUTION OF CHRISTIANS……. Next Post Next Post MORE TRICKLE-DOWN FROM EGYPTIAN ‘DEMOCRACY’: OIL PIPE SUPPLYING ISRAEL AND JORDAN BLOWN UP FOR THE 14TH TIME……..
How has it come to pass that the UK has been reduced to the present sorry state it finds itself in today? Time to take back national sovereignty before the very last vestige of national dignity is gone forever. Of course it would provoke a veritable s**t storm in Strasbourg – but who elected these judges in the first place? “This speaks of the tyrannical nature of the EU and its judicial institutions”. Check your facts. The European Court on Human Rights does NOT belong to the EU.